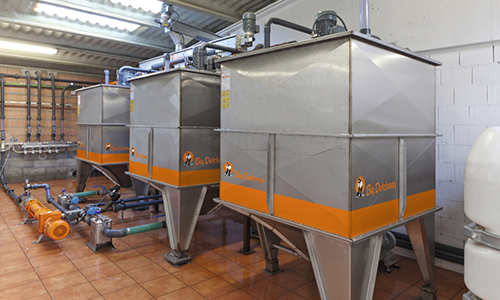 Liquid feeding is the use of a diet that is prepared from either liquid or dry components, which are thoroughly mixed with water in a dedicated mixing tank, then transported to the pig. Liquid feeding brings many economic, health and hygiene benefits and is a great option for your finishing farm. HydroMix Pro is a flexible, modular system that is suitable for finishers, sows and piglets, It offers intelligent sensor feeding with BIOcontrol, based on a pig’s appetite, ensuring maximum but controlled feed intake, improved daily gain and feed efficiency.